Sponge rubber can be supplied in a wide variety of forms including sheeting, gaskets, seals and strips with or without adhesive backing, we offer a full in house cutting and fabrication service. 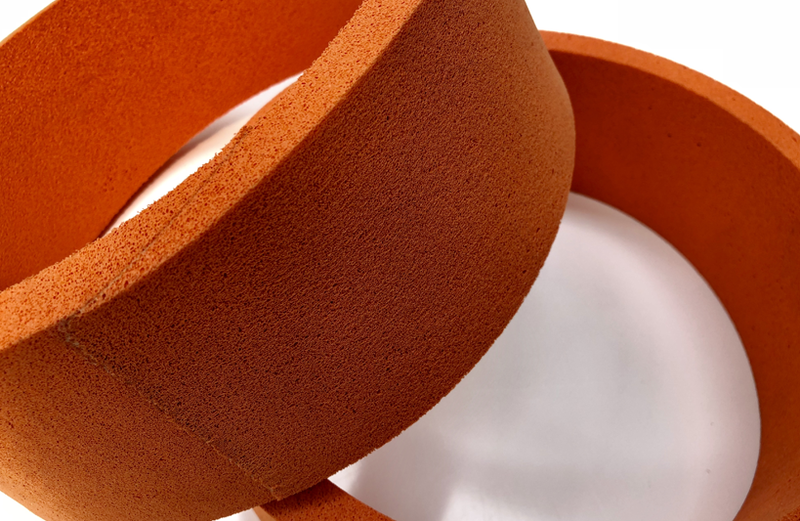 Closed cell sponges, such as EPDM , Neoprene, and Nitrile are used extensively on seals where moisture cannot pass through, and open cell materials like our Orange abrasive resistant sponge used in labelling and vacuum lifting seals. We have developed in recent times our diesel resistant grade used by a major customer for vital seals , this was not available anywhere else in the UK. For heat applications we offer our range of silicone sponge products, up to 250ºC in sheet, strip, cord and extrusion form in various colours. As mentioned above Orange label applicator sponge rubbers are proving very popular, ranging from 160 to 500kg density. These are extremely abrasive resistant materials.